1) or Carrol – Ar. a cross crosslet sa. Crest—A bear’s head sa. muzzled or, betw. two wings of the last. 2) (confirmed to Coote Alexander Carroll, Esq., of Ashford, co. Wicklow). Ar. two lions combatant gu. supporting a sword erect in pale ppr. in the dexter chief point a cross flory sa. Crest—On the stump of a tree a falcon rising belled ppr. charged on the breast with a cross flory sa. Motto—Flecti non frangi. 3) (Ballynure, co. Wicklow). Ar. two lions combatant gu. supporting a sword of the first, hilted and pommelled or. Crest—On the stump of an oak sprouting new branches ppr. a hawk of the last, belled or. Motto—In fide et in bello forte. 4) (Dublin. Fun. Ent. of Elizabeth Legge, d. 17 Sept., 1613, wife of Sir James Carroll, Knt., Lord Mayor of Dublin). Sa. two lions ramp. combatant or, supporting a sword ppr., pomell and hilt gold. 5) (granted by Molyneux, Ulster, 16 Nov. 1609, to Alderman Thomas Carroll, of the city of Dublin, and to his son, Sir James Carroll, Knt., Chief Remembrancer of the Exchequer). Sa. a sword erect supported by two lions ramp. or. Crest—The stump of an oak couped thereon a falcon close ppr. belled or, fesse gu. 6) (Lord of Ely, or the territory of Eile, extending over part of the King’s co. and co. Tipperary; descended from Eile, seventh in descent from Cian, son of Oliol Ollum, King of Munster; Sir William O’Carroll, chief of his name, was knighted at Limerick, 30 March, 1567, by Sir Henry Sydney, Lord Deputy of Ireland). Sa. two lions ramp. combatant or, armed and langued gu. supporting a sword, point upwards ppr. pomtnel and hilt gold. 7) (Lord of Ely O’Carroll; Sir Maolroona O’Carroll, Chief of his name, was knighted at Dublin by Sir George Cary, Lord Deputy, 25 July, 1603. He was son of Sir Wiliam O’Carroll Odhar, Lord of Ely, the brother of Teige O’Caroll, of Ely O’Carroll, Chief of his Sept, who is styled by Sir James Ware, “Petty King of Ely”). Ar. two lions ramp. combatant gu. supporting a sword point upwards of the last, pommel and hilt or. 8) (Carrollstown, Maryland, U.S. America; descended from Charles O’Carroll, Attorney-General for Maryland, where he got a grant of 60,000 acres, the son of Roger and the grandson of Sir Maolroona O’Carroll, knighted 1 March, 1608. Mary, dau. and heir of Charles Carroll, of Carrollstown, one of those who signed the Declaration of American Independence, m. Richard Caton, Esq., Maryland, and had three daus. co-heirs: 1) Mary Anne, m. first, Robert Paterson, Esq., and, secondly, 1835, Richard, Marquess Wellesley: 2) Elizabeth, m, 1836, George William, Lord Stafford; 3) Louisa, m. first, 1817, Sir Felton Hervey Bathurst, Bart. ; and, secondly, Francis Godolphin, seventh Duke of Leeds). (Maryland, U.S. America, a branch of O’Carroll, of Ely O’Carroll, descended from Roney O’Carroll and James O’Carroll, nephews of Sir Daniel O’Carroll, Knt., of St. Jago, in Spain, who emigrated to St. Kitts, West Indies, temp. Queen Anne). Gu. two lions ramp. combatant ar. supporting a sword point upwards ppr. pommel and hilt or. This coat was exemplified by Betham, Ulster, 12 July, 1826, to Mary Anne, Marchioness Wellesley. Crest—On the stump of an oak-tree sprouting, a hawk rising all ppr. belled or. 9) (Ardagh, co. Galway, also Dunmore, in same co., and Avondale, Blackrock, co. Dublin; descended from Redmond or Remy O’Carroll, Esq., of Ardagh, d. 1755, brother of Sir Daniel O’Carroll, Knt., of St. Jago, in Spain, now represented by Rev. John James O’Carroll, of the Oratory, Brompton, London. Reg. Ulster’s Office). Same Arms. Crest—On the stump of an oak tree sprouting new branches a hawk rising all ppr. belled or. Motto—In fide et in bello forte. This is an Irish Gaelic patronymic or baptismal surname deriving from O’Cearbhaill or MacCearbhaill, which means the son or grandson of Cearbhall, an old masculine given personal (first) name of uncertain origin, with the word meaning a warrior, champion, butcher, or stag, with the word cearbh meaning hacking. There were two distinct septs: one in MaCarvill and one in south Leinster. Another author asserts there were several septs, with O’Carroll of Ely and Oriel being the most prominent two, with minor septs located in Leitrim and Kerry, Ireland. Another origin theory is that it derives from the romantic rock called Carroll in Sutherland. It may also be a variation of Carolus of Charles. According to the book “A genealogical History of Irish Families”, this family descended from Milsius, King of Spain, through the line of his son Heber, which is a dubious claim, given historians believe said king was actually a mythological figure and the author makes this claim for nearly every Irish family in the book. 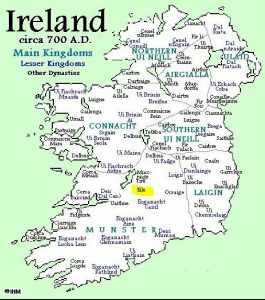 The author goes on to state the O’Carrolls were part of the Kinachta tribe, which was founded by Kiann, the son of Olliol Ollum, the first King of Munster in 177 AD. The founder of the family was Sieran, son of Sedna, son of Trena, son of Tigernach, of the race of Kian. The surname was originally spelled Ciarail or Cearbhoil and the name meant “perverse”. The family were Princes of Ely and Lords of Calry and they had estates in Kerry, Tipperary, and King’s County in Ireland. They were the heads of Clan Kian. Ely received its name for one of its Princes who lived in the 400s AD. The author states “Donald O’Carroll, from whom the principal houses of the name are descended, was Prince of Ely O’Carroll at the time of the Anglo-Norman invasion; and subsequently the boundaries of the O’Carroll possessions were restricted to the baronies of Clonlisk and Ballybrit in King’ County. For centuries afterward the O’Carrolls were foremost in resisting the invader, and represented as among the stoutest and most formidable borders to the stranger among the old races of Erin”. There were branches of the Carroll family tree is Sligo and Galway, where they were chiefs of Calary, and another branch were prices of Oriel in modern day Louth, Ireland. In Kerry, they were chides of Lough Lein, and in Kilkenny, they ruled with the O’Donoghues. Finally, in Meath, they were chides of Tara. The family were strong supporers of the Stuarts and King’s Charles I and II and against the Puritans and William of Orange. The final ruler was Tiege Caoc O’Carroll. Another source states the family descends from Eoganachta, who descended paternally from Aillil Aulom, the son of Mug Nuadat, son of Der, son of Derthene, son of Enna Muchain, son of Loch Mor, son of Muiredach Muca, son of Eoachain, son of Dui Dalta Dedade, who was the legendary King of Munster in the 100s AD. In turn, Dui Dallta was the son of Cairpre, who was the son of Lugaid Luaigne, who was the son of Finnar Mar (High King of Ireland), who was the son of Nia Segamain, who was the son of Adamair, son of Fer Corb, son of Mug Coreb, son of Cobthact Caem, son of Rechtaid Riderg (The Red King), son of Lugaid Laigdech (King of Tara and High King of Ireland), son of Daire Doimthech, son of Sithbolg. The first recorded member of this family was Maolsuthian O’Carroll who was documented in 1031 AD, who was Confessor of Brian Boru. One member of this family, Lord of Ely, assisted Brian Buro in repelling the Danes at the Battle of Clontarf in 1014 AD. 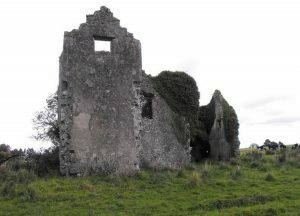 The family had vast land in Tipperary, but where confided to the area near Bitt in Offaly by the powerful Norman Butler family. Teige O’Carroll defeated the forces of King Richard II which had invaded the Kingdom of Ely O’Carroll in 1395. A branch of this name were a prominent Roman Catholic family in colonial America that spawned several politicians, including Charles Carroll of Carrollton, a signer of the Declaration of Independence. 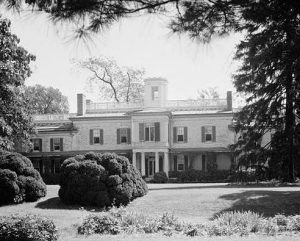 The family built and owned numerous beautiful manors in the state, the most famous of which was Doughorgean Manor, which remained the family seat for generations, as well as Carroll House in Annapolis, Mount Clare, and Homewood House, the later which is currently part of John Hopkins University. Some spelling variants or names with similar etymologies include O’Carroll, Carrell, Carrolle, and Carrooll. The last name Carroll ranks 201st in popularity in the United Status as of the 2000 Census. The name ranks particularly high in the following five states: Maryland, Massachusetts, Tennessee, Connecticut, and Rhode Island. The surname Carroll frequency/commonness ranks as follows in the British Isles: England (307th), Scotland (362nd), Wales (350th), Ireland (25th) and Northern Ireland (337th). In England, it ranks highest in county Lancashire. In Scotland, the surname ranks highest in Lanarkshire. In Wales, it ranks highest in county Merionethshire. In Ireland, it ranks highest in King’s County and Louth. In Northern Ireland, it ranks highest in county Fermanagh. The name is also present throughout the remainder English speaking world: Canada (506th), New Zealand (365th), Australia (156th), and South Africa (2,031st). The progenitor of this family was Fionn Carroll, the King of Ely (or Ele or Eli or Eile), born in the 1100s AD, who was slain in 1205 AD. Eile was a medieval petty kingdom in northern Munster, Ireland. His son Teige Carroll was born between 1110 and 1230 AD. He had two issue: Donal and Vuaniadh. His son Donal Carroll was born between 1241 and 1301 AD. His son was named Donough Dheary Carroll who was born in Ely, Ireland in 1306 AD. He was the father of William Alainn Carroll known as “The Handsome” who was born in Ely between 1311 and 1371. His son was Donough Carroll who was born in Ely, Ireland around 1377. He had a son named Roderio who was born between 1282 and 1402 AD. He had the father of Daniel Carroll. Daniel was born before 1575. His son was Roderick Carroll. His son in turn was Donough Carroll. He was the father of Teige McCallagh O’Carroll. 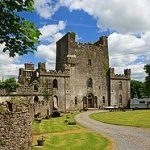 He was the father of Donogh McTeige Oure O’Carroll of Kenechane and Balleymooney who was born around 1550 AD in Ireland. His son was Daniel Tiege Carroll of Ballymooney who was born in Ireland in 1580. He had a son named Anthony Cian Carroll of Aghagurty who was born in 1610. 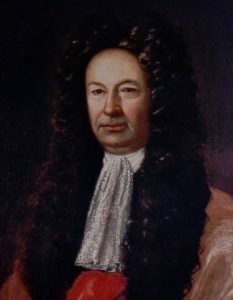 He had a son named Daniel Carroll of Aghagurty and Litterluna, Ireland who was born in 1632, He married Dorothy Kennedy and had the following issue with her: Anthony, Charles “The Settlers”, Thomas, Keane, John, and others. His son Charles Carroll was born in Litterluna, King’s County in 1660 AD and he went to Maryland in colonial America. He married Matha Ridgely Underwood and Mary, and had numerous issue with her: Anthony, Charles, Charles, Henry, Eleanor, Bridget, Charles, Mary, Daniel, and Eleanor. 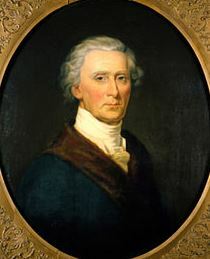 His son Charles Carroll was born in Annapolis, Anne Arundel County, Maryland in April of 1702. He married Elizabeth Brooke and had issue with her: Charles and Hugh Emaniel. His son Charles Fremont Carroll III was born in Annapolis, Maryland in 1737 AD. He was a signer of the Declaration of Independence and Founding Father. He married mary Darnall and had the following children with her: Charles IV, Elizabeth, Mary (Caton), Catharine (Harper), Ann Brooke, Lousa Rachel and Eliza. His son Charles IV of Homewood was born in Annapolis, Maryland in 1775. He married Harriett Chew and fathered the following children with her: Charles V, Mary Sophia Bayard, and Harriet Lee. His son Charles V of Doughoragen was born in Baltimore, Maryland in 1801. He married Mary Digges and had the following issue with herL: Charles VI, John Lee (Governor of Maryland), Albert Henry, Helen Sophia O’Donnell, Rose Marie Lynch, Harper, and Louisa. His son Charles VI was born in 1828 and married Caroline V. Thompson. John Carroll was born in Scotland in 1565. He married Elizabeth Johnson and had a son with her named John II. This John II was born in the Low Lands of Scotland in 1595. He married Elizabeth Bradley and had a son with her named James. James was born in Ireland in 1620. He married Elizabeth Ussher and had four children with her: John Carroll, Mary, Richard, and Thomas. He went to colonial America and died at the Isle of Wright in Virginia in 1706. His son John was born in Tyrone, Ulster, Antrim, Ireland in 1650 and married Elizabeth Mary Vasser in 1670 in Virginia Cololy. They had six children together: Benjamin, James, Robert, William, Thomas, and Elizabeth. His son Thomas was born in Dublin in 1689 and in 1720 he married Mary House in Surry, Virginia., fathering two sons with her: William and James. The latter son James was born in Isle of Wight, VA in 1723. He married Ann Bond in Baltmore, Maryland and had the following children with her: Elizabeth, James Bond, Peter Bond, Mary, Elinor, Ann, John Sarah, Hannah, and Benjamin. The former son was born in Limerick, Ireland in 1711. 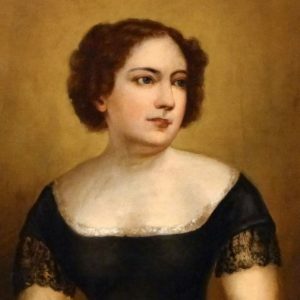 He married Elizabeth Jewell Spencer in North Carolina in 1748 and fathered the following children with her: Absalom I, William Tennessee, Jesse Sr., Thomas, John Clark, Spencer, Jenny, Ann, Mary Champion, and Elizabeth Ann Franklin. Early settlers in colonial America bearing this surname include Christopher Carroll (Maryland 1638), George Carroll (Maryland 1672), Charles Carroll (Maryland 1688), John Carroll (Virginia 1701), Jacob and Anne Carroll (Philadelphia 1746), Anthony Carroll (New York 1798). In Canada, John, Patrick, and Robert Carroll all came to the province of Nova Scotia in 1776. In Australia, one of the earliest settlers bearing this last name was Patrick Carroll, a convict from Lancaster, England who came aboard the Adamemnon in April of 1820, arriving in New South Wales, which was then a penal colony. In New Zealand, John, Julia, and Eliza Carroll all came to Nelson aboard the Golconda in 1859. 1) Argent two lions combatant gules supporting a sword argent hilt and pommel or. Crest: a falcon or [sometimes rising from a growing stump]. Bookplate “Charles Carroll of ye Inner Temple, Esqr.”; emigrated to Maryland about 1686, grandfather of Charles the Signer. Ephraim Carroll used the stump and: “In fide et in bello fortes.” The field appears to be az. John had field arg. James, Esquire, and Charles “Barrister at Law” had a field gu, the lions or, and the stump dead. C[harles] R[idgely] Carroll of Balto, the son of James, had a similar bookplate. Wm. Thomas’s is not tricked. Heral. Jour., vol. 1, p. 39. An act of the General Assembly of Maryland approved in May, 1783, permitted Nicholas and James Maccubbin, nephew of Charles Carroll of Annapolis, to use the name and coat of arms of Carroll. 1) Charles Carroll of Carrllton, Maryland, from King’s County, Ireland. Gules, two lions combatant argent, supporting a sword point upwards proper pommel and hilt or. 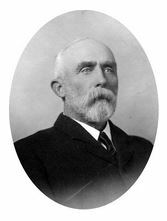 1) William Sterett Carroll was born at Clynmalyra, Baltimire County in November of 1837. In 1867, he married Louisa, daughter of Henry Cooke Tilghman, and had four issue with her: Henry (married Anne Merryman in 1905), William Sterett (born October 1877, married Grace Harris in 1906), Mary Bordieu Sterett, and Louisa Tilghman (married Alfred Pleasants). Arms: Argent, two lions combatant gules, supporting a word argent hilt and pommel or. Crest: On stump of oak tree, sprouting, a hawk proper belled or. He was the son of Henry Caroll and Mary Sterett. He desceded from Daiel Carroll of Litterluna, King’s County, Ireland. 2) Charles Carroll, Attornet General to Lord Baltimore, settled in Maryland in 1688, the son of Daniel Carroll of Litterluna, Ireland. Argent, two lions combatant gules supporting a sword argent, hilt and pommel or. Crest: On the stump of an oak tree, sprouting new branches proper, a hawk of the last belled or. I have identified two Carroll family mottoes: Flecti non frangi, meaning “Bending not breaking” and In fide et in bello fort, meaning “Strong both in fair and war”. We have 9 coats of arms for the Carroll surname depicted here. These 9 blazons are from Bernard Burke’s book The General Armory of England, Ireland, and Scotland, which was published in 1848. The bottom of this page contains the blazons, and in many instances contains some historical, geographical, and genealogical about where coat of arms was found and who bore it. There are hundreds of notable people with the Carroll surname. This page will mention a handful. Famous people with this last name include: 1) Lewis Carroll (1832-1898), birthname Charles Luwtidge Dodgson who was an English mathematician, author, and Anglican deacon born in Daresbury, Cheshire best known for his children’s book Alice’s Adventures in Wonderland, 2) Alfred Henry Carroll (1846-1924) who was a Canadian politician who was a member of the Legislative Assembly of Manitoba from 1903-1914 as a member of the Conservative Party, 3) Anna Ella Carroll (1815-1894) who was an American politician, pamphleteer, and lobbyist born in Pocomoke City, Marlyland, and was a critic of slavery, 4) Thomas King Carroll (1793-1873) who was the 21st Governor of Maryland from 1830-1831, 5) Charles Carroll (1737-1832) who was a Founding Father who was the only Catholic signer of the Declaration of Independence and a delegate of the Continental Congress who later served as the first Senator for Maryland, born in Annapolis, Maryland, a descendant of a wealth Irish family, 5) Benajah Harvey Carroll (1843-1914) who was a Bapist pastor and theologian born in Carroll County, Maryland, 6) Daniel C. Carroll (1953) who was a member of the Iowa House of Representatives from 1995-2007 and was born in Colorado Springs, Colorado, 7) David Carroll (1963) who is an American physicist known for his work in nanotechnology and was born in Winston-Salem, North Carolina, 8) David Williamson Carroll (1816-1905) who was born in Baltimore, Maryland and became a Captain in the Arkansas Infantry for the Confederacy during the American Civil War, and later a Colonel, as well as a representative in the Second Confederate Congress in 1865, 9) Frederick Herbert Carroll (1864-1904) who was a catcher and outfielder in the MLB who played from 1884-1891 for several different teams including the Pittsburgh Pirates and was born in Sacramento, California, and 10) John Carroll (1735-1815) who was a prelate of the Roman Catholic Church and was the first bishop and archbishop in the United States, having founded Georgetown University. The three main heraldic symbols in the Carroll Coat of Arms (erroneously called the Carroll Family Crest) are the cross crosslet, lions combatant, and sword. Each has a unique meaning. No other symbol appearing in heraldry is subject to as much variation as the cross. Medieval Europe was a deeply religious and Christian and many of the nobility wanted to show their devotion by adopting the symbol of the cross as part of the arms. Since no two arms could be identical there arose many variants of the cross. The cross crosslet is one of these, being symmetrical both vertically and horizontally and having an additional cross bar on each arm. Wade suggests that these additional crossing signify “the fourfold mystery of the Cross”. The art of heraldry would be significantly poorer if we were without the lion in all its forms. Most general works on Heraldry devote at least one chapter solely to this magnificent creature and its multifarious depictions. Some of the earliest known examples of heraldry, dating right back to the knighting of Geoffrey of Anjou in 1127, where he is shown with six such beasts upon his shield. The great authority on heraldic symbology, Wade, points out the high place that the lion holds in heraldry, “as the emblem of deathless courage”, a sentiment echoed equally today.The variation of lions combatant refers to two lions rampant, face to face as if in combat. Given the martial nature of the origins of Heraldry, in the identification of knights and men-at-arms it can come as no surprise that medieval weaponry of all types are frequently to be found in a coat of arms. Indeed, the sheer variety of different swords can be bewildering and explaining the difference between a scimitar and a falchion is perhaps best left to the expert! If a charge is described just as a simple sword then it will have a straight blade and cross handle, that may be of a different colour, and, unless specified, points upwards. Wade, quoting the earlier writer Guillim, signifies the use of the sword as representing “Government and Justice”.